Starting a new business is an exciting and nerve-wracking process. Where you choose to launch your start-up can have a large impact on its long-term success. To improve your business’s chances of flourishing, we hand-picked four of the best cities to start a new business based on their low cost of living, booming start-up industries, and population growth. 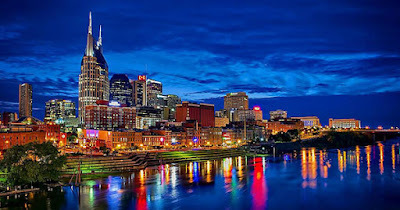 If you’re looking for a home for your health start-up, Nashville is the place to go. Along with country music, this city is making a name for itself as a haven for health-focused start-ups. This reputation is well deserved as Nashville is home to six of the nation’s ten largest for-profit hospital chains and over 800 health care companies. After the 2008 recession, this resilient city is rising from the ashes with an influx of investors, large industry trade shows, and easily-attainable funding and loan opportunities. A 2017 study by the Kauffman Foundation ranked Las Vegas among one of the five metropolitan areas with the highest startup activity. Las Vegas also has a far lower cost of living than other major cities like Boston and San Francisco. According to the Small Business Administration, 97 percent of Colorado companies classify themselves as a small business; the start-up environment in Denver being no exception. Ranked among the top five cities in the country with the most start-up activity, Denver owes part of its success to its talented labor pool, Small Business Development Center, and the heavy concentration of high-growth industries like real estate and computer-related services. Austin’s educated population and diverse start-up environment have recently attracted many young entrepreneurs, with a population growth rate that is four times faster than the majority of Silicon Valley. One of the main draws to this city is its nonexistent state, individual, and corporate income tax, which provides business owners with more money to invest in their start-up. However, home buying in this increasingly populated city can be expensive for people just starting out in the business world. The success of your start-up ultimately depends on hard-work, talent, and a little bit of luck, but giving it a home in one of the best cities to start a new business will certainly help its chances.